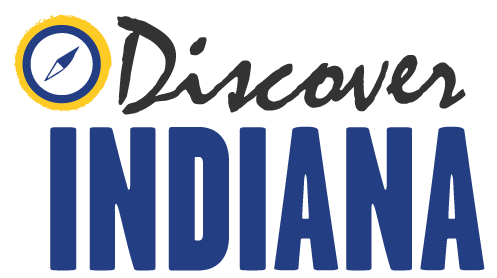 Discover Indiana is statewide public history project that makes cultural and historical information available to the public through a website and phone app. Discover Indiana has been made possible by a Public Projects grant from the National Endowment for the Humanities. Its development has been previously funded by the Public History Program at Indiana University-Purdue University Indianapolis, the Indiana Department of Natural Resources Division of Historic Preservation and Archaeology, the Indiana Historical Society, Indiana Humanities, and Indiana Landmarks. Discover Indiana gratefully acknowledges their support of this project. Contributions to the project have been made by Undergraduate and Graduate Students in the Public History Program at IUPUI, Grant County Historical Society, Hamilton East Public Library, Howard County Historical Society, Jackson County History Center, Johnson County Museum of History, Kokomo Howard County Public Library, Marion Public Library, Monroe County History Center, Morrisson Reeves Library, St. Joseph County Public Library, Vanderburgh County Historical Society. More information on our partners can be found on discoverin.org. To contact Discover Indiana, please email us at pubhist@iupui.edu. Users are required to adhere to the following guidelines when leaving comments: Comments must pertain to the historical topics presented in the stories to which they are linked. Be respectful to others. Refrain from using harsh or inappropriate language. Comments that target private individuals or discriminate against groups of people on the basis of race, religion, gender, sexuality or other protected class will not be tolerated. Any comments that violate these guidelines may be removed without notice. Photographs in the Discover Indiana website are used with the expressed permission of their creators, owners, or other caretakers (for example, a library or archive). Sources are cited in the captions for each image. For further information about photographs, including requests for reproductions, please contact the listed source directly. Please note that we cannot give the contact information of private individuals, nor are we empowered to grant permission for further use of any photographs.